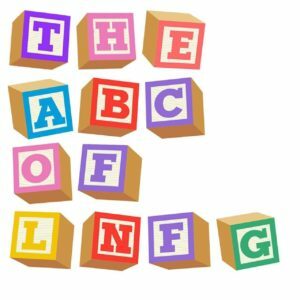 Last year, we had two of our artists remix each other and you can hear the outcomes of this venture on our ABC of LNFG CD and Digital Release. They also took time to interview each other and here is that unexpurgated stream of consciousness from Gus & Albert of Sun Rose and Gordon, Lily & Dickson of L-space for your enjoyment. What would you like to launch into the sun? Gus (G): Very difficult to answer this question without getting political! launching the world’s remaining fossil and nuclear fuels into space. G: Hmm…maybe the launch vessel is powered by algae biofuel? join your band, what role would you give them? want to see as a punter. guessing she might learn something temporarily but forget it soon after. (i.e. everyone) with that response! recover. How do you prepare? A: This reminds me of a book – “The Death Of Grass” by John Christopher. to say: it doesn’t go smoothly. catalogue of Bert Jansch then you can assume my face will be quite red). give it as a welcome gift from Earthlings? out all of Earth’s electricity. 6. What are your tips for staying safe in the sun? factor suncream and find shelter wherever possible. hit. Supplements just don’t cut it. come up with a plan within 5 mins. Give us such a plan, please? your lifetime? Moon tourism, Virgin Galactic etc. Gordon: I believe so, but not in a space opera intergalactic sort of way. materials and goods out of orbit without the current extraordinary cost. Elon Musk – messianic tech-utopian visionary or hollow PR merchant? Lily: Elon Musk will save us all. when they’re 50? How do you imagine what gigging will be like then? the music and imagery straight from their minds to the audience. Dickson: when Maura’s 50 I’ll be 93, so I’m not sure about that! sounds we’ll be able to create in another 30 years. Where did the name L-Space originate? This entry was posted in Press Article, Release Update. Bookmark the permalink.